Trying roti canai at two restaurants from the nomination list makes for a rewarding experience. WHICH Malaysian does not love a good, hearty and crispy roti canai? Although roti canai may not be the healthiest of local food options, we love it to death (pardon the pun). In conjunction with The Star People’s Food Awards on Metro Online Broadcast (MOB), you can nominate your favourite roti canai stall/eatery come July 1 and stand a chance to win attractive prizes such as hotel stays and dining vouchers. It is easy to take part. Just take out your smartphone and snap a photo along with details of your favourite roti canai eatery and send to Metro Online Broadcast (mob.com.my). Nominations will be accepted during the first 10 days of the month. 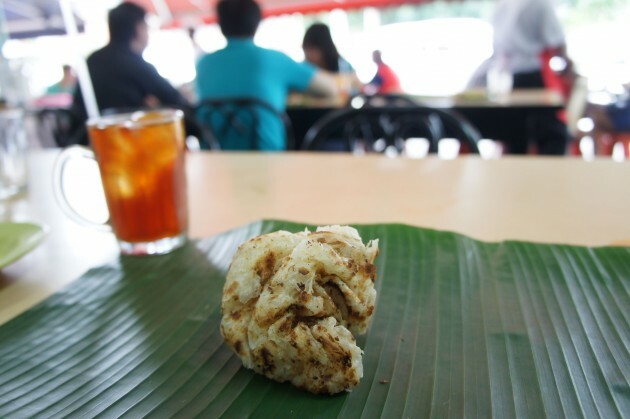 The awards are given out to the best Malaysian street food in the Klang Valley. Each month, the public can vote for their favourite category-based street food such as chicken rice, satay, banana leaf rice via MOB. 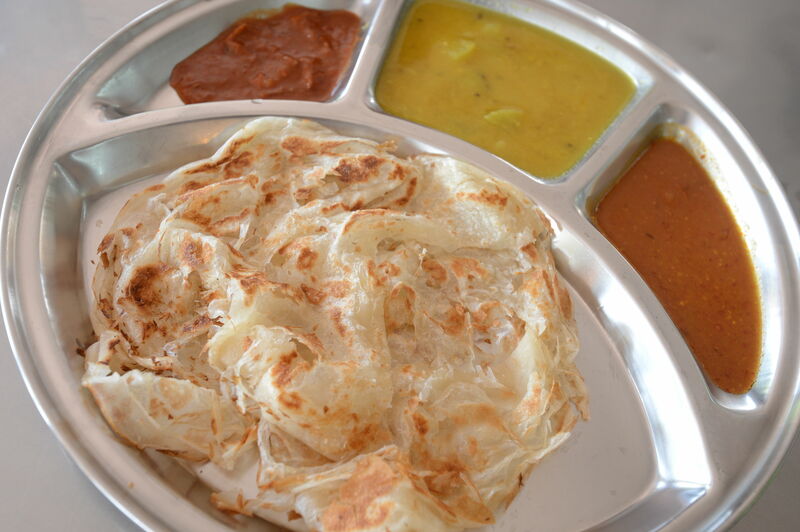 This week, we feature two popular dining venue, popular with their serving of roti canai. Ordering a familiar breakfast favourite, roti canai, at Raju’s Restaurant is like taking a step back to the 1960s. Served on a customary fragrant banana leaf is the crispy sweet dough in its spherical form that has been well kneaded for a soft yielding texture. The roti at Raju’s strikes a balance between the lightness and density commonly associated with the bread. A slight sweetness from the roti is enhanced by the tangy flavour of fish curry and warmth of the dhal that leave a lingering aroma of spices. Raju’s proprietor K. Kannan said he picked up the recipe from an elderly Indian Muslim man, and it has been unchanged ever since. The roti canai at Raju’s costs RM3 a piece and is served on a fragrant banana leaf. “The difference is not only in how the dough is made, but in the method of folding, when they put it on the stove, and even down to the number of times the dough is turned. “It is something that people look forward to savouring,” he said. Nava Kamalandran, who has been a patron of Raju’s for 40 years, since he was in secondary school, grew up eating at the restaurant. “I usually get ill when I eat anywhere else because of the added MSG, but because Raju’s does not use it, I just cannot help coming back. “It is the best roti canai I know. The typical Malaysian breakfast would include a plate of roti canai (or two). In Subang Jaya, one eatery that serves good roti canai (top pic) for breakfast every morning is Restaurant Sri Melur. The right way to order your roti canai would be to have it garing (crispy) or banjir, which means to douse it with lots of curry, dhal or a mixture of both. Restaurant Sri Melur was established in 1995 when the first restaurant was opened in Sri Muda, Section 25, Shah Alam by the late K. Gopalakrishnan who is said to have been an avid food lover. At this Seri Melur branch, roti canai is made a few at a time. Today, there are 10 restaurants in Selangor. 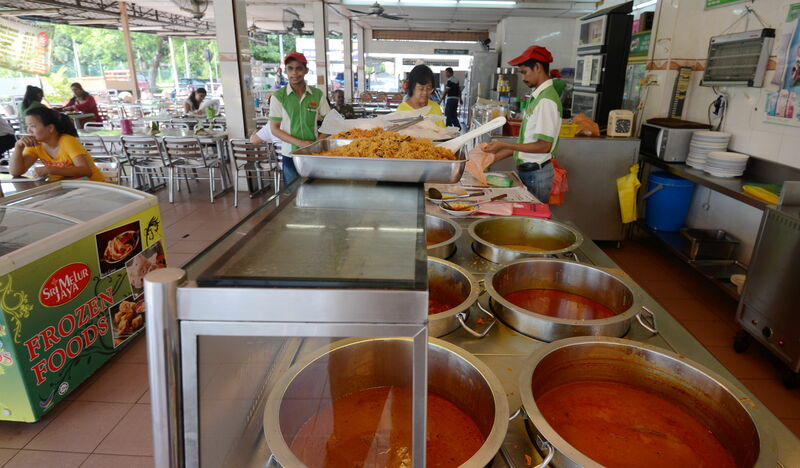 At this particular branch, roti canai is made a few at a time — probably to ensure that it flies out of the hot griddle and onto a plate quickly, to keep hungry customers satisfied. The plate of roti canai was served within five minutes of an order being placed. I noticed that it was still warm but a little too chewy and tough to tear. It was served with sambal, fish curry and dhal. The sambal to me was mediocre but the dhal was so good that one could eat it on its own. The thick, light yellow dhal had not much spice in it but it made my roti canai taste even better. When you have ordered your plate of roti canai, try mixing the fish curry and dhal together as the combined taste leaves you wanting more. One roti canai was not enough for me. My next order was a surprisingly crispy and fluffy roti canai, which crackled at the stab of the fork. It is recommended that you order a roti garing for that added crispiness instead of roti kosong (plain). To take part in the The Star People’s Food Awards, go to MOB.